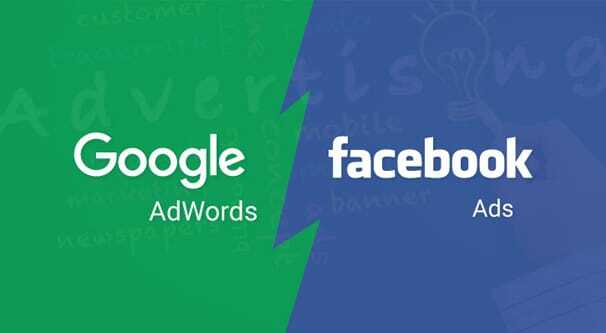 Facebook Ads vs AdWords - Which is Better for Remarketing? Remarketing, also called Retargeting, is a form of audience creation used for PPC advertising. As the prefix re- implies, it’s reaching out to target the people who have already expressed some interest in your ads. Generally, this means it’s people who clicked through an ad to your landing page, but did not then carry on to make a purchase. Remarketing in general is a very good practice. The custom audience you make through remarketing tends to have a much higher conversion rate than your normal broad-spectrum ads. In some cases, click-through rates can be as much as 10x higher than with normal ads. Both Facebook and Google have tools that allow you to make use of remarketing to reach out to a focused audience of interested users. If you only have the budget to focus on one or the other, which do you choose? If you’re familiar with the posts I write for this site, you’ll know that a lot of times for my “A or B: Which is Better?” posts, I often recommend using both. Don’t pick and choose between Facebook and Twitter, use both. Don’t limit yourself to either Amazon or eBay, use both. 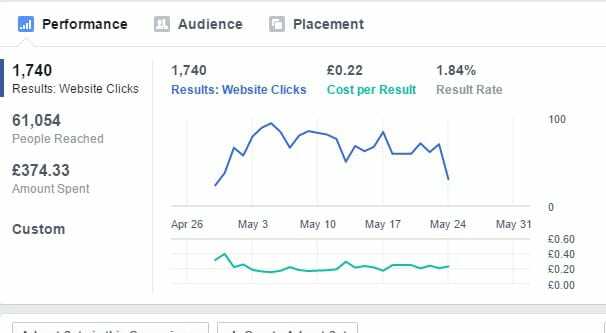 So why not use both Facebook and Google for remarketing? Remarketing is actually one area where it’s better to focus on one service rather than both. That’s because it relies on the broad-scale exposure of your initial ads. The more people you reach with your initial ad, the larger the subsequent remarketing audience is likely to be. If you split your budget between the two services, your remarketing audiences will be smaller, and thus less effective. This does, of course, rely on you having a smaller budget you need to split between them. If you have a large enough budget to reach a wide audience on both platforms at the same time, by all means, use them both. Before I go into details, I have to give you the basic, no-nonsense answer. Which should you use, between Facebook and Google, for your remarketing? Well, whichever works best! Now, don’t leave. I do actually mean something when I say that. Remarketing is the act of targeting an audience specifically made up of people who have expressed interest in your site through previous ads or other marketing channels. Say you have an audience of 100,000 people with both your Facebook ads and your Google ads. You run ads with the same budget for the same amount of time. Facebook ads get you 1,000 clicks, while Google ads only get you 800. Facebook ads are more effective. The audience you build for retargeting is larger, so you have a higher chance of getting conversions out of that subsequent audience. Go with Facebook! If the reverse is true and you find that Google gets you better returns, go with Google. Of course, you need to do a legitimate test here. Spend some time with both ad systems, with an adequate budget and optimizations as you go, rather than just running one basic ad and taking the results at face value. Facebook has a few perks that can put it above Google when it comes to advertising and remarketing. Let’s look them over, then check out what Google has to offer. Facebook, first of all, has an incredible wealth of targeting options. Want to reach out to an audience made up of only people who like donuts? You can do that easily. Want to target only people with a college education making over $100,000 per year who like the movie Saving Private Ryan? You can do that too. There are so many targeting options because so many people give so much information to Facebook that you would be shocked. In any context other than a social network, that much information in private hands would be considered an egregious breach of privacy. In fact, it still kind of is, though it’s “okay” because the data is anonymous when it lands in the hands of businesses. You can target a very narrow audience, but you can’t target specific aspects of a person that are exploitative or that narrow the audience down to one person. 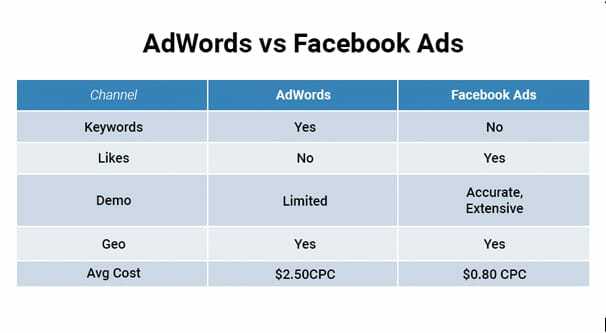 Secondly, Facebook has a generally lower cost per click for most ad formats. The fact that you can be so precise in targeting means you can make your ads very effective for their cost, which reduces the overall cost per click. You don’t HAVE to use those options, and you don’t HAVE to make efficient ads, but your costs will be high because of it. Violating some rules like the sliding scale for text density will have a negative impact on costs as well. Next, Facebook’s mailing list integration is top-notch, giving you additional sources of an initial audience. You can import a mailing list and Facebook will search for profiles that use that email, giving you a ready-made audience of people you know are interested in your brand. You can even keep different mailing lists for leads and customers, and make different custom audiences out of them. Google doesn’t let you do that, because they have no way of matching a person to their email while the user is browsing. Facebook tends to have a generally higher conversion rate than similar search engine ads. Google can be used in a lot of different ways for the same keyword, right? Someone searching for “shoes” could be looking for the history of shoes, for modern shoe styles, for shoes they can buy, or any number of other variations on the keyword. You could be targeting the people looking to shop, but you’ll get a low rate of clicks because a lot of the queries are informational in nature. You don’t fit the bill, so they don’t care about your ad. On Facebook, on the other hand, everyone is on the site for the same basic reason, and you can reach out to the right kinds of people knowing that reason. Facebook’s unique lookalike audiences can be quite beneficial, sometimes. A lookalike audience is a special audience you can make based on an existing audience. Say, for example, you have a mailing list of people who have expressed interest in your company by downloading an ebook. You can import that mailing list into Facebook to create an audience out of all of those people who used the same email on Facebook. This is useful, but it’s not a lookalike audience. You can create a lookalike audience based on this audience. That new audience will be made up of people who are NOT on your mailing list, but who match the same general demographics and interests. 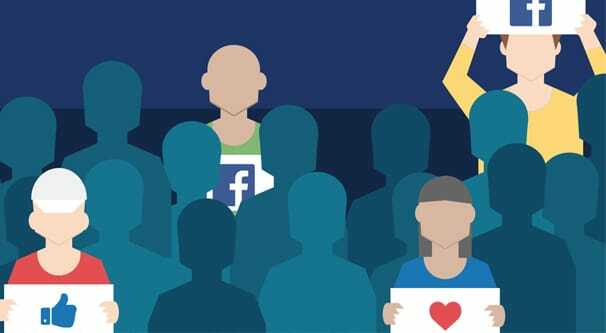 If most of the people on your mailing list have the same general profession, age range, and interest in movies, Facebook will make a new audience out of people who match those criteria. Lookalike audiences are not, however, all that useful for retargeting, at least not right away. After all, the power of retargeting is to make a custom audience out of the people who have expressed interest in your ads once already. To create a lookalike audience is simply to broaden that audience back to people who haven’t expressed that interest. You can refine your demographic and interest-based targeting this way, but it’s not always necessarily helpful. Success with Facebook provides social proof that can reinforce future conversions. I know that I often check on the Facebook profile of a brand before I’m interested in buying from them, just to see if they’re the kind of brand with a presence or if they have neglected that area of their marketing. You have some additional options with Facebook ads as well, like in-messenger advertising and advertising on Instagram. This means more socially-focused sources of incoming traffic. On the other hand, all is not sunshine and rainbows with Facebook. For one thing, there’s not a single holy chorus to indicate the perfect move. They don’t mail you a puppy to be your company mascot, either. On a more serious note, Facebook does have issues with some elements of reporting. The Facebook tracking pixel is a bit limited; if you want to track a given event, you need to load the pixel on that page, which generally means having an action confirmation page. Since you can’t have a confirmation page for every minor action a user might take, you can lose out on some events and potential audience members. You can get around this with a script-based trigger, but that can be complex to set up, and if you set it up incorrectly, you can capture a lot of people in your audience who aren’t supposed to be there. Secondly, Facebook is only going to get more and more expensive as time goes on, unless of course the platform fails completely. As people continue to adopt the site and its services, competition rises, and so will expenses. Of course, Facebook doesn’t have a monopoly on beneficial elements of their remarketing program. If Google didn’t have something going for it, they wouldn’t be at the top of the industry. Google ads are often more trusted than basically any other ad source in the business. Everyone knows and trusts who Google is, and by extension Google ads. Google puts a lot of work into vetting their ads to ensure there are virtually no malicious ads or scams, so they’re more reasonable to click. With Google Adwords, you also have access to the positively astonishing number of sites in the display network. There are over a billion people on Facebook, but there are enough sites in the display network that Google claims to reach 90% of the people on the internet. Success with Google Adwords tends to snowball, with a higher quality score, lower ad rates, and higher click rates through remarketing. As you get better, your placement, circulation, and costs will all improve, making it a great site for extended investment and optimization. Google’s display advertising has a huge array of possible ad formats and graphics options you don’t get with Facebook. Facebook only really has sidebar, news feed, app, and messenger ads. With Google Adwords you have a wide variety of types of text and display ads, app ads, and other variations. You also have the power to vet the websites showing your ads and can prune out those underperforming sites in favor of better sites. This kind of control is further optimization to make up for the lack of it you get in targeting your audience. You might not be able to target people who hate donuts, but you can remove donut-based sites from your targeting. On the other hand, Google Adwords isn’t perfect either. If they were, we wouldn’t have other options, because none would be necessary. For one thing, Google is often more of a middleman than a primary source of display advertising. Search ads only get a few seconds of exposure, if that, as opposed to ads on Facebook where a user can see them for as long as they’re sitting on the page. Display network ads don’t have this problem, of course. Google As are also surprisingly difficult to get into and stay in. You can sign up as long as you have a site, but you’re in a pretty precarious position where making a few wrong moves or accidentally sending fake traffic through your ads will get you banned from the program. Getting banned is a big deal and it’s very difficult to fix. Google Adwords also doesn’t track or monitor quite as much personal information about your audience as Facebook. 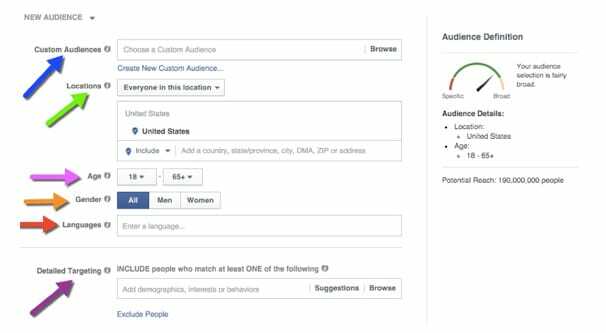 Google can see technical information and demographics, but they can’t see all the interests, all the secondary targeting options that make Facebook so powerful. People just willingly give Facebook a huge wealth of personal information you can use to reach them. So at the end of the day, which platform is the one you should use? Both of them work well enough, so it really depends on two things; your investment and your focus as a business. As far as your business is concerned, just think about the kinds of people you want to reach. Are they people who are going to be spending a lot of time on Facebook? If so, Facebook is probably a good option. If they’re people who tend to avoid social networks, or if you’re B2B, or your industry just isn’t well represented on social media, Google might be the better option. Either way, though, money talks. Both forms of remarketing get better the longer you do them and the more money you put into both the initial ads and the remarketing ads. Eventually, you can find success with both sources.